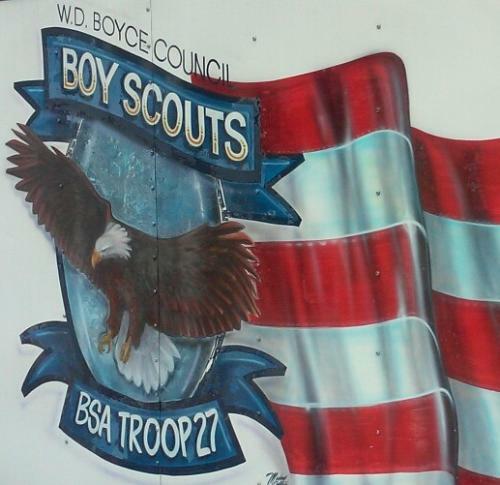 Welcome to East Peoria Boy Scout Troop 27! Making outstanding young men and sterling memories for over 32 years! Troop 27 is sponsored by the East Peoria Methodist Men's Club. We meet at 7:00 PM, every Monday at the First United Methodist Church, 154 E. Washington St, East Peoria, IL. We are part of the Wotamalo District in the W.D. Boyce Council. We currently have 21 registered active scouts. If you would like to contact us, please use the "Contact Our Troop" option on the menu above.